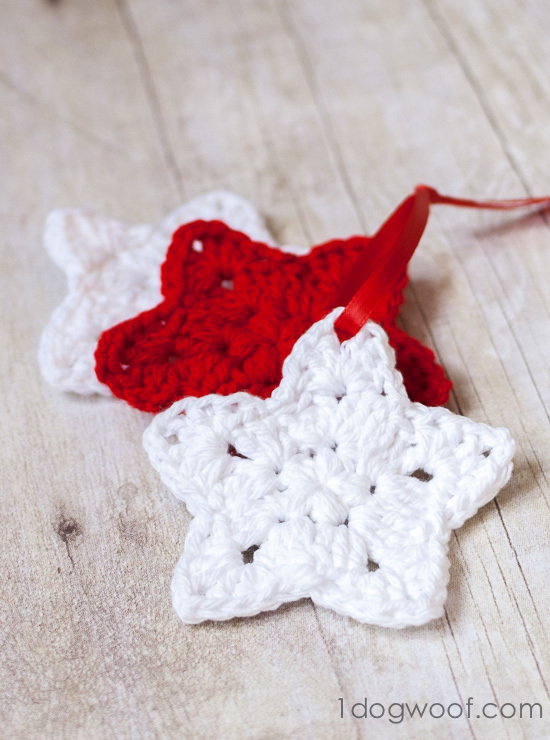 I don’t know about you, but I get a lot of inspiration while wandering through Pinterest, and when I saw these crocheted stars (while you’re there, consider following me on Pinterest! ), I knew I wanted some. But there was no pattern at the end of that rainbow, so I fall back on my “I saw, I want, I conquer” process. This involves me, on a couch with some cheap yarn, a hook and a lot of crocheting and uncrocheting. 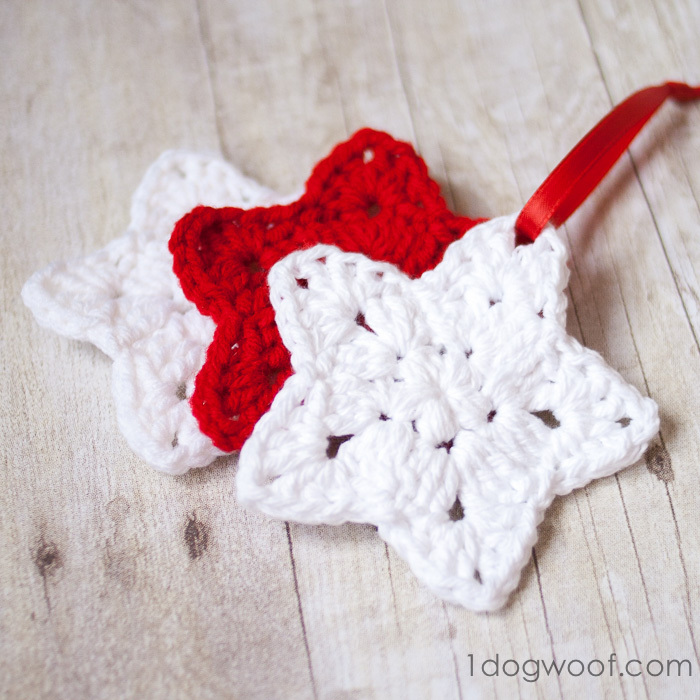 Still, I got something that works and looks similar enough, so here’s the crochet star ornament pattern at the end of your rainbow. Or for your Christmas tree. Worsted weight yarn. I used both cotton and acrylic yarn. puff stitch – *Yarn over, insert hook into ring, yarn over and pull through*. Repeat from * 2 more times. You should have 7 loops on your hook. Yarn over one last time, and pull hook through all the loops on your hook. Round 1: *Work 1 puff stitch. Chain 2*. Repeat from * 4 more times for a total of 5 puff stitches. Slip stitch into the top of the first puff stitch. Round 2: Chain 2. In the same stitch, work (2 DC, Chain 1, 3 DC). In the next 4 puff stitches, work (3 DC, Chain 1, 3 DC). Slip stitch into the first DC to end the round. Round 3: *Chain 1. In the chain space from the previous round, work (1 HDC, 2 DC, Chain 2, 2 DC, 1 HDC). Chain 1. Slip stitch into 3rd DC from hook. * Repeat from * 4 more times. The last slip stitch should end the round. Thread a ribbon through the star to hang it on your tree! 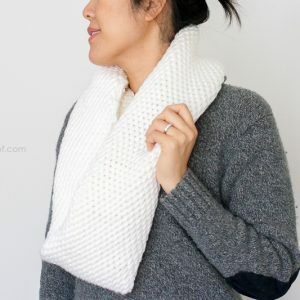 Or, if you like this pattern, head on over to my Crochet page and see what other quick project patterns I have for you! My pleasure Sara! I’ve had that pin on my to-do list for ages. Of course, I wait until the week before Christmas to sit down and figure it out. But I’m glad you like it and will use it! Happy Holidays! 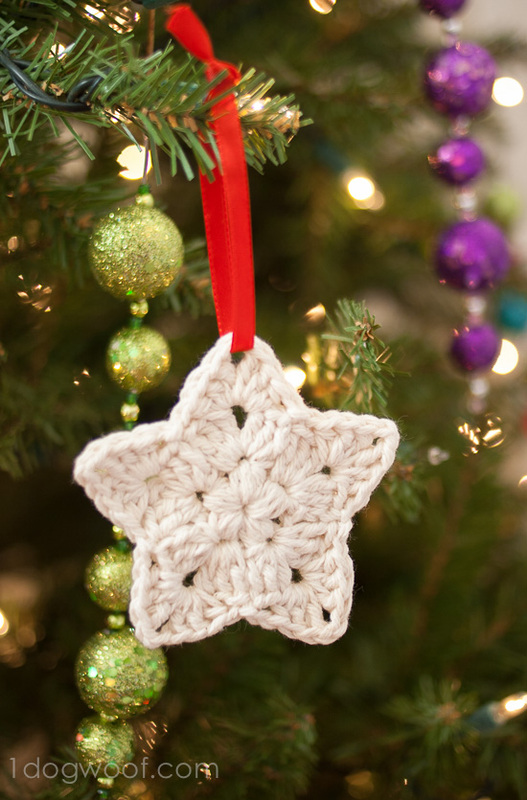 Hi this crocheted ornament is so pretty and thanks for sharing, I pinned it. Thanks so much for the pin Julie! These are so sweet, Chi-Wei! I love their simplicity. Thanks Emily! I keep telling myself I’m done, but then I think up one more thing to do. I’m trying to be done by this weekend so I can enjoy the last two weeks of the year! Maybe I am just a little slow this afternoon, but how many chain stitches to do the circle? Hi Frances, you do not work any chain stitches in the circle. You start with a magic circle so that it can be closed all the way, and the puff stitches are worked directly into the magic circle. Hope that helps! Any tricks to getting started with the puff stitch in the magic circle? I seem to b e having diffculty making it work. Hi Mary, to be honest, I had to practice several times to get the puff stitch to look right. 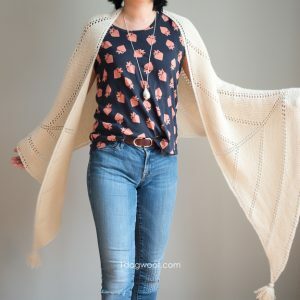 Every time you yarn over, try to keep the tautness of the yarn consistent, and then once a puff stitch is complete, you might need to fidget a bit and tighten it up by pulling on some yarns. I use a public computer so really shouldn’t download this in order to print it. How can I print without downloading? Really want to try this star! Thanks! I’m not sure I understand why you would need to download anything. You can print directly from the browser or copy the pattern to a text file and print from the text file. Thanks! Thanks for this pattern! I just finished it and it looks very similar to yours!!!! Thanks again!!! Love your website!!!! Thanks so much….don’t think I had ever heard of a magic circle before, but I have now downloaded the instructions for it! I appreciate the assistance! Best wishes for the upcoming bundle of joy! 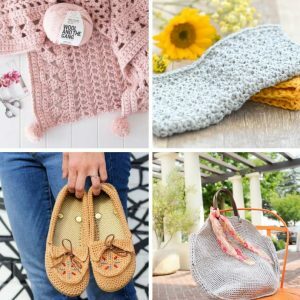 And what a great idea it is to use sparkle yarn! Have a great New Year! Thankyou for this pattern ChiWei. Just going to have a peek at your crochet page. I have added link to this post on my Facebook wall – hope it is ok 🙂 Great pattern and thank you sooooo much ! Thanks Wendy, glad you like it! I’ve never done a magic ring, but would like to try this pattern. What I’m not clear on is how many stitches should be done initially to make the ring. All the YouTube videos I’ve seen, as well as your information on the tutorial showing how to make the ring, call for a certain number of single crochet stitches to make the initial ring. I believe you said it is often six–to go by the pattern. But the star pattern doesn’t say how many. Or maybe I’ve missed something. Any assistance greatly appreciated. Joan, for this pattern, you don’t work any single crochets into the magic ring. Once you have an open ring, you work the puff stitches directly into the ring and then pull tight at the end of the first round. I had trouble with it too, at first. Probably because I have never worked a magic ring quite like that. But it was well worth the little time it took to figure it out. So tickled with this pattern! I much prefer the magic ring method! Thanks for sharing! Thank you for the pattern! I had some difficulty with the last round. It seems it was too rounded. I think part of the problem was the wool was not stiff enough so I used another one and it was better. I still had trouble with the definition so I tried to work from your picture. It looks like you have either a slip stitch between the HDC, DC, CH, DC, HDC so I tried a SC which seemed to anchor it a bit and give it definition. I hope this helps others. Thanks again!!!! I ran into the same problem with that pin, and then I was bummed out. But yay! Thanks for posting this! I am so glad I found this pattern. I was getting frustrated because I kept finding the picture with no instructions and am not very good yet at figuring out patterns by picture. I love your flower coaster pattern and now I have this one too. Thank you for your beautiful patterns. In round 2, do you only chain two at the beginning or between each set of stitches? Thanks! I have looked at/attempted a number of similar stars. This is the only one that seems to work out. Will be my go-to for stars. Thanks for sharing this. That sounds so fun, and the campers will love it! I really like this crocheted star! I don’t follow directions very well, do you have a tutorial where we can see pictures of you doing the project? I would so love to make some of these. Thank you. Erm, maybe 4 inches? It’ll depend on your hook, gauge and yarn weight. Great Pattern, but when I copied and printed it the Yellowish-greenish titles (Ie. Supplies, etc) were practically invisible. I had to rewrite them in darker ink. Maybe a darker color would be good in the future. Thank-you!! I just saw that pin with no pattern at the end of the rainbow. I’ve had a few tries at it on my own and was feeling frustrated. Now I’ve found you. Now I will have peace. Thanks, and Merry Christmas! I can’t get the pattern to print it will print everything else on the page except for the pattern, don’t know what I am doing wrong. Hi! I LOVE this pattern! They are so fun and easy to make! I use all of my scrap yarn because it takes such little yarn! Love! Love! Love! Thank you so much! Oh did I mention I LOVE this pattern? Yea it is fun! I love this pattern! Thanks for sharing!